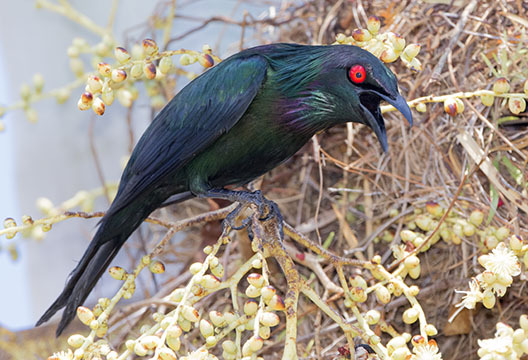 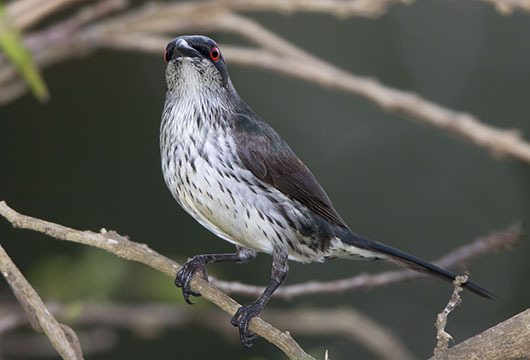 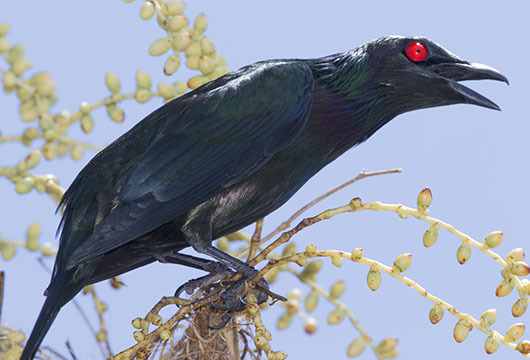 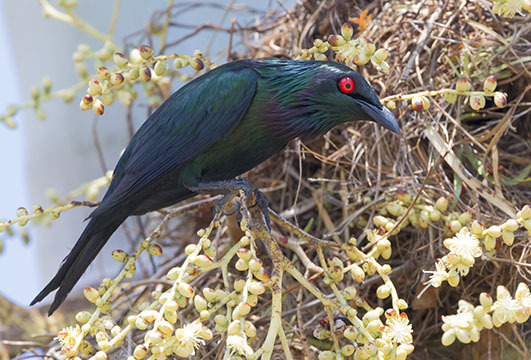 These iridescent black birds with wildly red eyes are found in tropical north Queensland, where they are quite common. 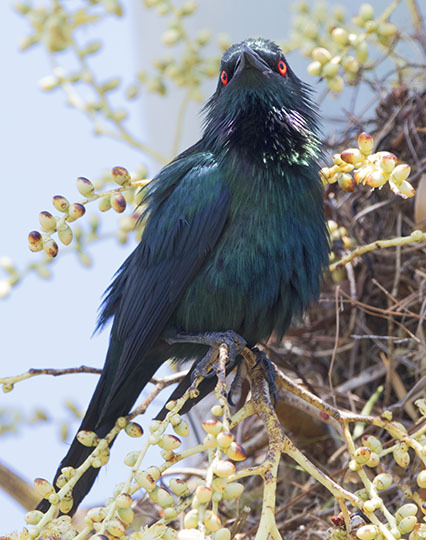 Highly social, they build their hanging nests in large, noisy colonies. 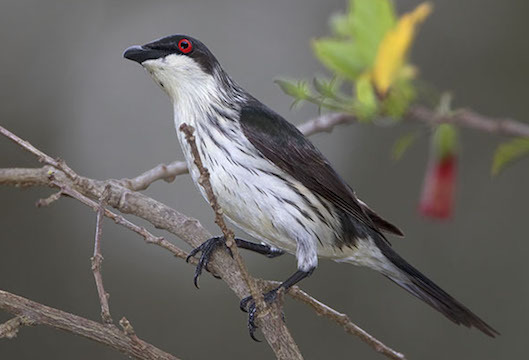 These were photographed in a shopping mall parking lot in Cairns, Queensland and on the nearby Atherton Tableland. 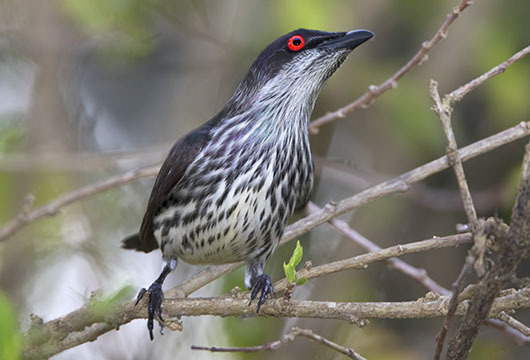 The birds with streaked breasts are juveniles.